Food Forest Ashburton | Celebrate nature, explore foods and tend to the gardens! Here is our future food, grown sustainably in, by and for your community. The Food Forest Ashburton is a community food garden in a park in Ashburton Victoria Australia. – It is always open, there is no fence! – You are part of this special garden too, whether you come once a year, once a week or just wander through. 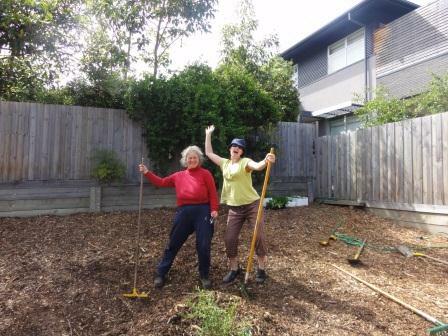 The Food Forest Ashburton is run by volunteers since 2012, with the support of Craig Family Centre, Boroondara Gardiners Creek Lions Club and City of Boroondara. We would love your ideas and involvement! Find us near Gardiners Creek bike trail in Winton Road. Growing a humming garden with lots of produce, summer shade and flowers is very satisfying and important for the environment. Petra will show you how to create or improve a productive garden using minimum water and effort. Learn how to “drought-proof” your garden as much as possible. You will see what works in our food forest and we will look at little tricks like passive watering (don’t lift a finger once installed! ), and getting the most out of your additives like manure, compost, bio-char – natural enhancements, chemical free. You will go home with a list of possible actions you can easily do at home. Presenter: Petra Kahle convenes the Food Forest Ashburton Group which looks after the food forest lovingly and thoughtfully. She is the author of the booklet Menu for Good Housekeeping and Planet Care. For the Kids: Water games and messy mud play, as well as making and serving lemonade. Also: Coffee, cake and home-grown herbal teas, dips & biscuits will be made and served by the local CWA Ashburton for you. Available also: tap water, a playground, a shelter with seats and tables, toilets nearby (500m). Presenter: Duncan Cocking operates Leaf, Root & Fruit Gardening Services. He is passionate about reducing the human impact on the environment and actively promotes a sustainable approach to living and sourcing of food. His blog www.LeafRootFruit.com.au is full of information and useful tips for anyone who wants to grow food at home. can decorate a second-hand pot and plant it with a seedling to take home. tap water, a playground, a shelter with seats and tables, toilets nearby (500m). 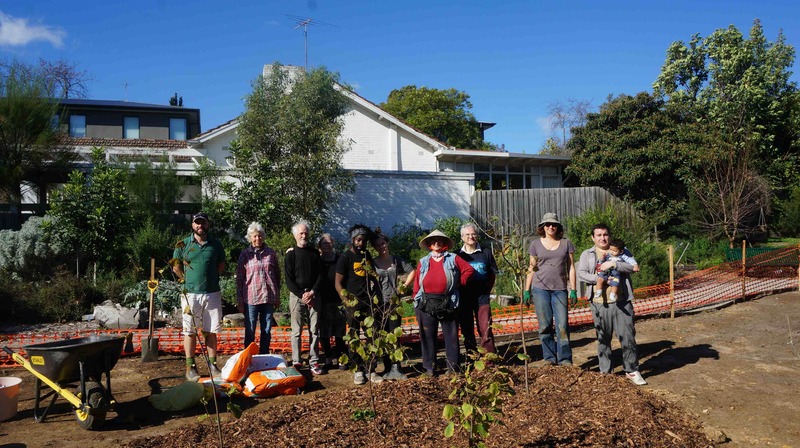 The Food Forest Ashburton Group planted and maintains a food forest to as many permaculture principles as possible – in the inner suburb of Ashburton VIC with 26 productive trees plus herbs and perennial vegetables. We are part of the local community. Permaculture Day is one of 5 free events this year at our Food Forest. We are auspiced by the Craig Family Centre, meaning they help with organising and insurance, and we don’t have to do much of that. the morning will start with morning tea and surplus swap. It’s a good chance to meet the people and swap things you don’t want anymore. we will take them out and pot them up to sell at the events we have planned this year. You will work with others, learn things, harvest some food or plants. New volunteers will get an induction to start with. kid friendly, playground available, toilet across the road. Come and say “Hi” at the Ashwood College … Garden tent. 3 food forests, one stall. Chadstone Food Forest is just behind the venue. Follow the vibrant and welcoming peace banners (designed by local secondary students last year) to the annual Family Fun Day. Come on down to our Food Forest to Celebrate Spring Equinox! Invite anyone who wants to get to know the Food Forest, or wants something fun and meaningful to do on a Saturday morning! There is a playground next to it for little kids, a climbing tree and lots of grass. Cold water available, we will bring hot water and cups. The shelter seats about 20 people. Bus: number 612 bus stops right in front of the food forest. Train stations: Alamein (Alamein line) or Darling or East Malvern (Waverley line). 3 trees want to be replanted (mulberry, feijoa and probably an avocado) and somebody strong is welcome to take off a tree. Cold drinks available if you rsvp. The Craig Family Centre is celebrating its 60th year serving the community with an Open Day and free community celebration. There will be lots of fun activities for families including a sausage sizzle, vegetarian Afghan food at the Kabul Kite Social Enterprise Café, music, face painting and a community market. This Saturday at the Winton Road Food Forest we will have a short talk about Growing Herbal Teas, find some growing there and plant some more for all to pick. You can bring your herbs or ideas too. This is part of the food swap that we do every fourth Saturday (except December) that you are more than welcome to join as well if you’re interested, and is followed by a working bee at the food forest. At the bee we will plant a few herbs, harvest some asparagus & artichokes, herbs & greens, and there is a backlog of weeds to pull and compost. You can bring your own tool or use ours: large tools useful on the day are a hoe, mattock or fork. RSVP by Friday so we can bring enough tools and tea & home-made biscuits. Children welcome to join you, toilet available across the road & creek.